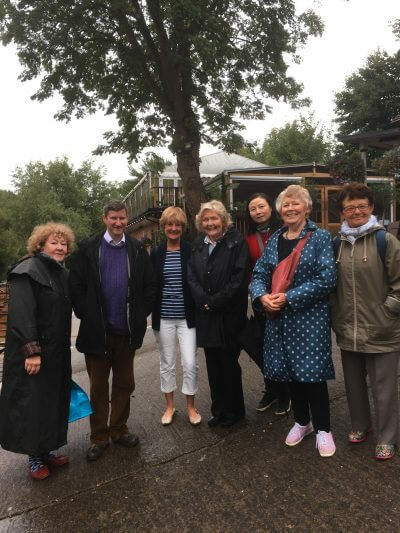 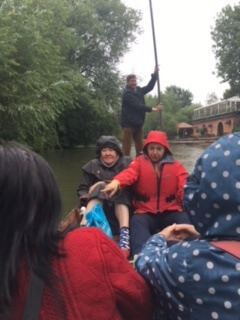 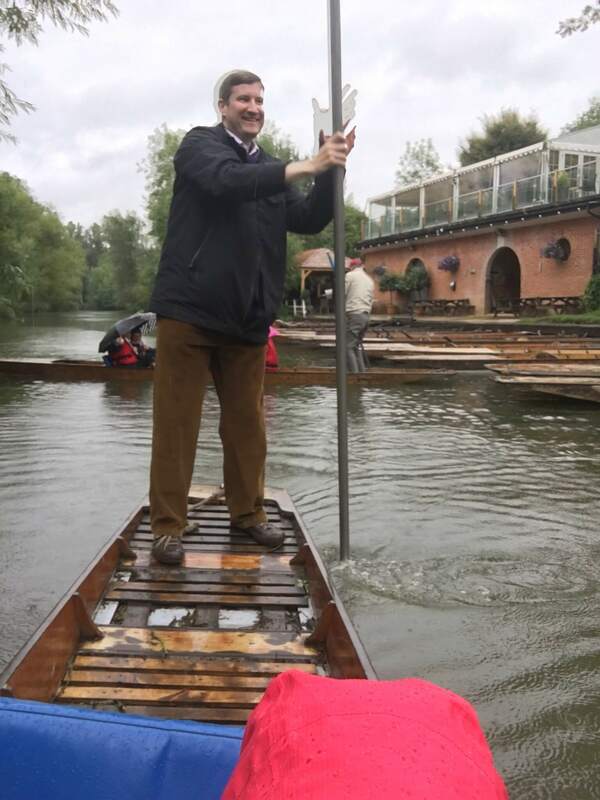 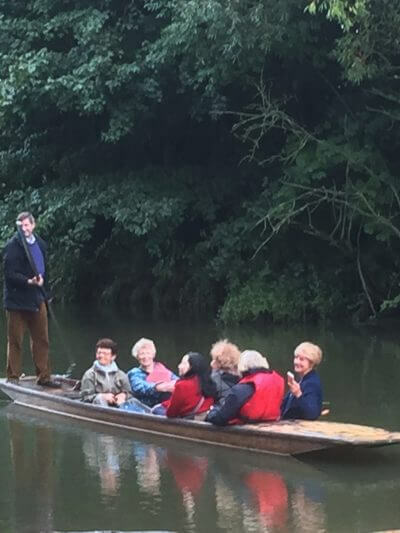 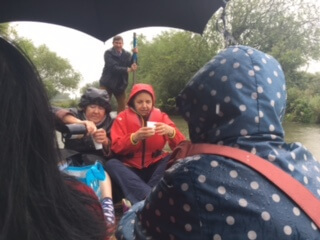 A dozen intrepid parishioners set off along the Cherwell on Wednesday, ready to enjoy the splendid, English summer weather, which at times featured only light rain. 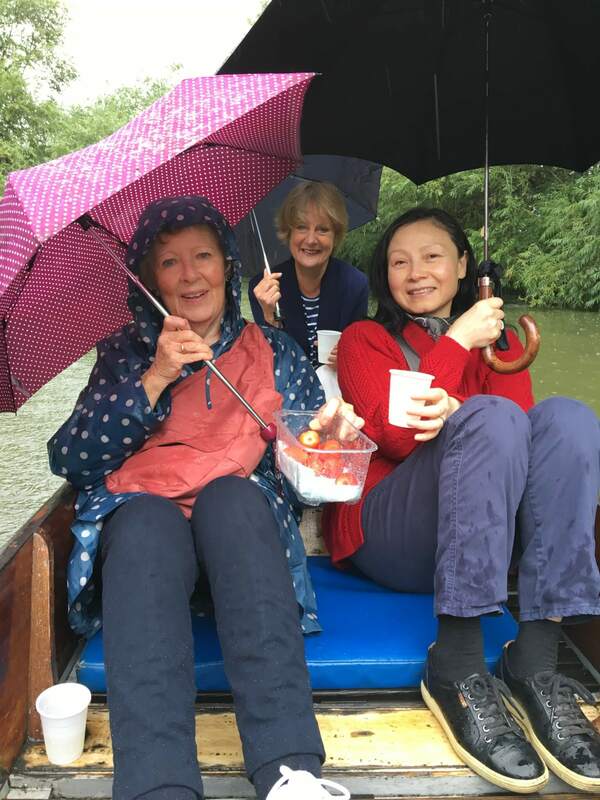 Waterborne refreshments cheered our spirits. 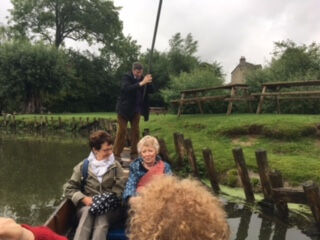 Leaving the Victoria Arms. 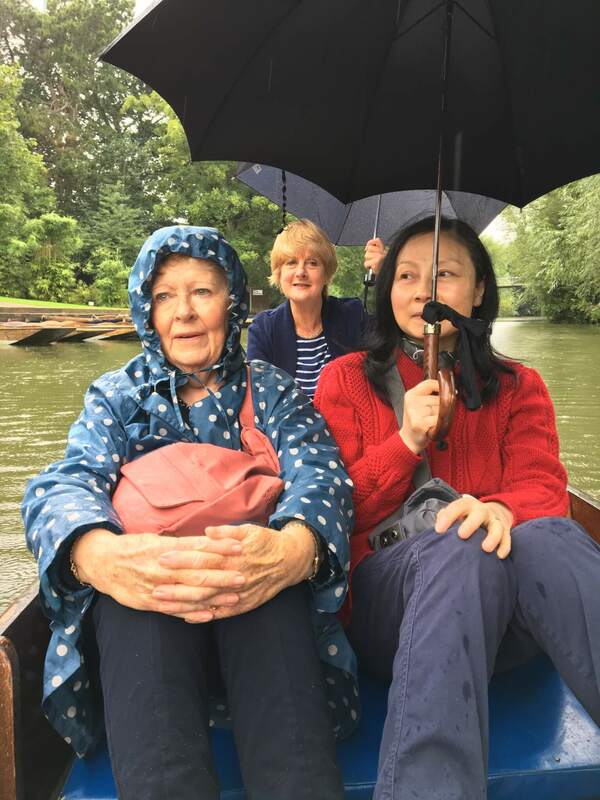 Look, no rain!